I'm going to use this as a thread for whatever drabble/short fic, snippet or idea comes to mind. Note that none of these are complete nor in any order, and most of them have already been sorted out/written in my head, but I do welcome suggestions! The writing bug has been, well, buggy lately, and I'm hoping inspiration will hit again so I can finish my current projects. I'm a huge parallel universe/dimension fan, so any fiction I write will be written in that genre unless otherwise stated. Premise: A fight with the Pastmaster separates the SWAT Kats and throws Razor into a dimension where things might have gone a little differently. Of course, there is no such thing as a perfect world. Chance Furlong's unusually calm face came into view, but that wasn't the only thing that was off. "What're you doing in an Enforcer coat?" The larger tom helped Razor sit up. "That was a pretty nasty landing. Anything broken?" "No," Razor managed, then focused again on his friend. He hit his head pretty hard, but he was sure that his eyes weren't playing tricks on him. He was about ask again when a young Enforcer lieutenant got Chance's attention. "Commander Furlong, the perimeter's been secured. There's no sign of the Pastmaster." Chance let out an exasperated huff. "Great." "What are your orders, Sir?" Chance stood up, ignoring the flabbergasted look on Razor's face as the latter focused on his friend. The taller kat was wearing an Enforcer commander's coat, his posture indicating anything but comfort as he addressed his subordinate. "If you even think for a minute that just because you're commander now that I'm going to follow your orders...!" Chance took Felina's tirade calmly, then finally stood up from his seat. "You know what happened, Feral. Do I need to remind you that the accident killed my partner? My best friend? The court martial was pretty clear. Your Uncle faced discharge, or life in prison. Which one did you prefer? I'd think the sentence was pretty lenient." He handed her the file. "In case you still need a reminder." Felina took the file one handed and gave it a glare. After a moment's pause, she slowly stood at attention. "I'll follow your orders, but I'm not going to like it. You're still that hotshot pilot from five years ago." "I'll keep that in mind. Dismissed." 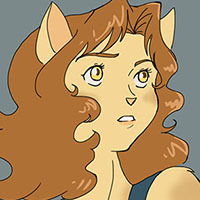 Once outside the office, Felina glanced down once again at the file Furlong had handed her. A time and an address well away from Enforcer Headquarters, and a solitary note: "Let's talk." "I'd say everything's fantastic. I've got the highest position within the military, I've got every Enforcer at my disposal, an income that's allowing me to live comfortably, I married the love of my life..."
Jake arched a brow, then smirked. "And, you hate every minute of it." "Except for the last part. I wouldn't trade my life with Callie for anything." "I'm starting to see why you suggested this place. Unless you're thinking like a member of the mob." "You'd be surprised the kinds of things you can find in a salvage yard." Jake eyed the pile of scrap he was standing on, then reached down into the remains of an old hatchback. "Like parts for a dimensional radar." Chance chuckled. "Gears always turning." "You know it." Jake paused as he saw the faint hints of car lights in the distance. "Looks like Lt. Feral took you up on your offer." "That, and she's probably thinking that this is the perfect place to hide my remains." This is very intriguing, both the set up and the new dynamics of character relationships in this different world. I am definitely interested in reading this when/if it becomes a completed story. Hot damn, you've got my interest levels piqued here Sage. I heartily approve of this Fanfiction topic, and wish you a speedy writing blitz to get it done. Just from those snippets, there is an ease and relaxed air in your style that a reader can slip into like a well-worn glove. It's comfy, something new, but familiar enough to avoid jumping the shark, even as it skews into alternative what-if history. This could be good. This could be VERY good. It actually got me thinking about a discussion we had here on the site some months back, when it was still warm, about how would we approach the 'alternate reality' meta if we had a chance to do it again? I had to go looking for it, because I had an idea that came at the tack from a completely different angle than your approach. Hopefully I'll get around to it after Transitions. 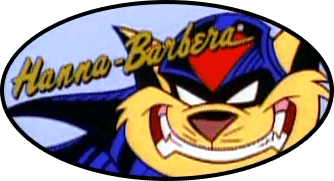 EricoBard wrote: Let's take that idea of the Dark SWAT Kats didn't perish, but were thrown into a different reality when that bomb went off still connected to their Turbokat. Why toss them into the same world as their own SWAT Kats? If the SWAT Kats we know are considered the 'middle of the road', hurl them (The dark SWAT Kats) into the opposite extreme; a Megakat City where the Enforcers collapsed, and the SWAT Kats had to take over protecting the city...without the masks. These two evil SWAT Kats, turned that way out of the bitterness earned from having their lives torn from them, find themselves in a world where as they're flying to try and get their bearings, they are not chased down, but are openly hailed on the radio, albeit with some confusion. They head for their hangar and find that the underground hangar's been converted into a museum. They bail, and going undercover, find that there is no going incognito. Chance Furlong and Jake Clawson are heroes, with Chance and his trusted right hand kat, Felina Feral, serving as the heads of the Enforcers' replacement, the "SWAT Corps", while Jake Clawson is a rich and brilliant engineer who makes all the gear for the SWAT Corps in house and happens to be dating the single most eligible bachelorette, Mayor Briggs. Or Hell, I don't care, switch it around. Offered a vision of the exact extreme, they find they have no reason to be who they were. They want money? They have it. They have power, and prestige as well, and they can go anywhere. There are somber moments as well; learning that Commander Feral died in the final moments of the Enforcers' existence, sacrificing himself to spare the city from Dark Kat's last suicidal attempt to tear the city apart...and that his last words were ones of confession to a revealed Jake and Chance in that reality, telling them that they were the best troopers and pilots he ever had, and that it was his own stubborn pride that wrenched them, and having realized that they kept on fighting in the role of vigilantes, he asks them over the radio to Take Up His Sword, to keep protecting Megakat City. And that that is exactly what the two former vigilantes did with the full support of what was left of the Enforcers, reorganized into the SWAT Corps, and the city government as well. Throughout, you'd have these two bitter, rather violent and self-serving blokes start to take a hard look at their own lives, and slowly change. They stop insulting and smacking each other so much. They start to take a little bit better care of themselves. Feelings, hopes and dreams that they'd thought long ago buried and forgotten start to resurface. 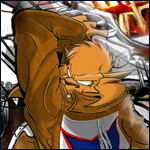 After all, are the SWAT Kats really beyond redemption, or were they twisted that way because of the hand they were dealt? Without a dark overlord influence like Dart Kat around, would they stay as they were, or, by seeing the lives their alternates lead, start to ask themselves; Can't we be better? A dynamic character, one which changes as a story progresses, is always more interesting than a static character, who never changes regardless of what happens. If you really want to change things up, have the two Dark SWAT Kats be forced to step up to the plate and deliver; their good counterparts in the reality that they found themselves dumped in are threatened, and they move in to save them. Tragically, the good SWAT Kats are slain, and Felina and Callie, the only ones who know the truth, ask the 'dark' duplicates to stay on and fill the shoes of their mirror opposites. "Megakat City needs the SWAT Kats. We need you to stay." And as easy as it would be to just get back in their Dark Turbokat and try to fly off for home or someplace else, the two find that they can't. They don't want to. They've found a place that they could belong, and a place where they can find redemption. You end on a bittersweet note there, with Dark Chance finding himself as the reluctant leader of the city's police force, and Dark Jake taking over as Chief Engineer...possibly helping Callie and Felina through the grief of losing their lovers, and making those first awkward steps into building a relationship of their own. In that way, you've addressed the alternate reality conundrum, you've created a situation full of dramatic impact and dynamic character growth, and most importantly, you've done so in a way that is so starkly different from all of the other 'Alternate Dimension' Fics out there that it stands the test of time, and leaves behind the other 90 percent of stories to join that rare 10 percent people favorite, bookmark, and recommend to others. We want to make good stories. Don't be afraid to go a little farther to make that happen. Keep at this, Sage. You've got a winner on your hands. With any luck, my own what-if will eventually be half as well thought out and well-written as yours is. I heartily approve of this Fanfiction topic, and wish you a speedy writing blitz to get it done. Just from those snippets, there is an ease and relaxed air in your style that a reader can slip into like a well-worn glove. It's comfy, something new, but familiar enough to avoid jumping the shark, even as it skews into alternative what-if history. I've never had my writing described like that, so WOW! Thanks, Erico! XD And, I do appreciate the encouragement. Sadly, this is a project that I'll have to keep in the back-burner so I don't lose focus on the other two AU fics I have going, though I'm pretty sure snippets will be demanding to be written anytime inspiration on this story hits. Incidentally, your Dark SK idea has me intrigued. I'm a huge sucker for DSK redemption stories, so I'll be looking forward to that one once you write it. Just a couple drabbles (surprisingly not AU entries!). The first is just something ridiculous that popped into my head one evening, because in the SK universe there’s no such thing as overkill. Also, Kristen Sharpe gets props for helping with the dialogue. The second was mildly inspired by the discussion we had regarding “Bride of the Pastmaster” on the Mega SWAT Kast. That was all the warning that T-Bone needed. Within seconds, the taller SWAT Kat was grabbing his partner by the back of his g-suit and taking off running. “What… What are you doing? !” Razor could barely move from the death grip, particularly at the speed T-Bone was charging down the hall of the building they were in.